Home Articles 20 WWE Superstars They Could Do Without Or Reassign. Hi everyone. Recently I’ve looked at the relationship between NXT and the main brands, and I stated WWE must cut some talent from its rosters so they don’t become so bloated we never see half of ’em. This is already the case, with some being “buried” in the way the term is meant. Others are getting on and could do with stepping aside one day. And then there’s the unfortunate NXT call-ups, who had all the promise in the world, but their booking and other factors meant they’re not getting time. The talents are in alphabetical order. Let me end the intro by saying I hate to be negative like this. I don’t wish anyone to lose their dream jobs, it’s just a list of talent who I think are struggling. They’ll find it difficult when management promotes some from NXT. It’s been a while since WWE’s released many superstars in short order, and to me, it feels like the time is coming. Can you believe she’s been around over a decade? She’s a one-time Divas Champion, and at other times, she’s played a demanding (yet dim) character who gets what she wants. She was doing alright as the girlfriend of Noam Dar in his feud with Cedric Alexander, til it ran its course last year. She returned to singles competition, but was pulled from events due to injury in early 2018. Fox returned to television on this weeks Raw with little announcement. While I’m a fan of the characters she’s portrayed, I’ve never been a fan of her ring work. She’s clearly an asset to the company, to have her around for so many years, and most of her good work usually happens outside the ring. She’s a great ambassador, and I don’t mind if she continues doing this, I just wish she’d step aside from wrestling so others can take her spot. Unless WWE are planning on pushing her? Keep her if you must WWE .. just make her a manager/ambassador instead of taking time from those who need it. If they want to keep using her as a wrestler, I’d like to see her feud more often. Love the big guy, he’s been on our screens since I started watching in the late 90s. He’s done it all, but he’s no longer the impending doom he once was. He knows he’s retiring soon, so I’d appreciate it if they let him have one last program where he comes out on top against all odds .. then announces his retirement as a winner. He deserves it after all the years of hard work, and I’m sure he’ll be a great mentor to the younger big men coming through. Get him under a legends contract, induct him in the Hall of Fame, and let him be the biggest ambassador they’re ever likely to have. Initially I was a huge fan of Kendrick being on 205 Live as I thought he’d be the brains of the operation. He’s exceptional on the mic, he’s probably the most underrated talent on 205 Live, but since he lost the cruiserweight title he’s been treated badly. He paired with Jack Gallagher after their feud, but I don’t think it did him any favours. WWE won’t center the division around him, so he’s more like a mentor/trainer who actively wrestles, instead of being a serious threat. He’d be better off as a manager or a trainer in NXT, his stock has lowered so much since Jack paired with him. If they can’t play to his strengths more, I wouldn’t mind seeing him back in Impact Wrestling, as the X-Division could do with another veteran challenging Matt Sydal and the younger stars. What could’ve been. Remember when Fandango’s entrance spread around the world? To the point English football teams used the song? And it got in the charts? Man, feels like ages ago now. And I thought Breezango’s segments on Smackdown Live would translate to Raw, but they haven’t, and it leaves me frustrated that Tyler Breeze is stuck with Fandango doing nothing. Breeze is young and deserves more, while Fandango’s likely had his best years. I think it’s been tough for them because Raw already has the Deleter Of Worlds producing crazy segments, so to add Breezango’s comedy in there to? Might be too much. So with that said .. if WWE aren’t willing to do what they did on Smackdown Live, why have them together? Tyler’s been wasted since he was called up in 2015. Fandango could easily find work elsewhere if he wanted, any and every promotion would snap him up. But if he and Breeze are staying on for the long haul, I would love to see Fandango abandon Breeze and start a feud between the two. I got excited when WWE turned him heel and gave him old school segments, like he’d gone back to what made him great to watch. He wasn’t heel long though, so it felt like a grand waste of his and fans time. He deserved one last proper run with a title, even if it was just the IC or United States. Any singles title to cap off his career would’ve been great. He’d have lost it to a young gun, and got them over in the process. But no .. they roll him out when they need him, and it feels like he’s going to end his career as the typical mid-carder he’s been since the turn of the millennium. I’d love to see him join Cody in New Japan, to show the world what he’s got before a Hall of Fame induction. Til he hangs up the boots, he remains one of the best workers in WWE. Goldust could handle another big push. Metalik frustrates me. Since his performances in the Cruiserweight Classic he was lost in the shuffle for ages. He finally got airtime by teaming with Kalisto and Lince Dorado, but am I the only one questioning his work? While it seems Kalisto, and Dorado more so, have taken steps to improve their games (not just in the ring, but with how they interact), Metalik’s stood still. He doesn’t come across like he’s going to be more than he is, and that’s a problem in WWE. His best asset is one-on-one contests which last longer than fifteen minutes. He doesn’t offer much otherwise, and we know the main roster rarely likes long matches. I’m glad he doesn’t botch often, but he needs something if he’s going to keep up with Lince Dorado, who has transformed his character. He feels wasted in tag team action, so I’d like to see him leave Kalisto & Dorado to get in to singles feuds. Seems fairly straight forward to me. Slater’s super jobber status has been taken away by Curt Hawkins, and there’s only so many times he can say he “has kids” before it gets old. As for Rhyno, I’ve always been one of his biggest fans, but it’s clear he wants to get in to politics, and at 42-years-old I don’t blame him. He should focus on his next career, as I think WWE’s got what they wanted from this team. Slater is pretty good, but he’s not good enough for me, when you look at the hungry talent looking to move up from NXT. I like both of them and I hope they’re able to get airtime again, as they’ve gone downhill since their move to Raw. It’s a tough division, as we’ve seen the B-team get a title shot before them. Authors Of Pain are lurking, and there are other teams in the mix. 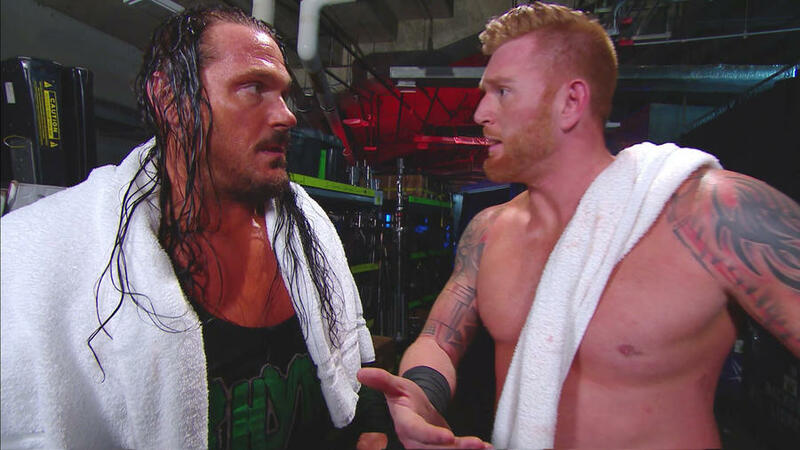 It feels like its the end for Rhyno & Slator, but anything can happen in WWE. I want better for Rhyno, but I’d understand if they keep him on shows like Main Event. Ok now .. don’t chokeslam me to hell for this. Much like Rhyno, Big Show, and Goldust, The Big Red Machine has always been a favourite. A true professional, and he’ll do anything he’s asked. He returned on Smackdown for a bit of Team Hell No nostalgia with Daniel Bryan, but that’s all he is now. His worth is for nostalgia trips, and I don’t think we need anymore of those. 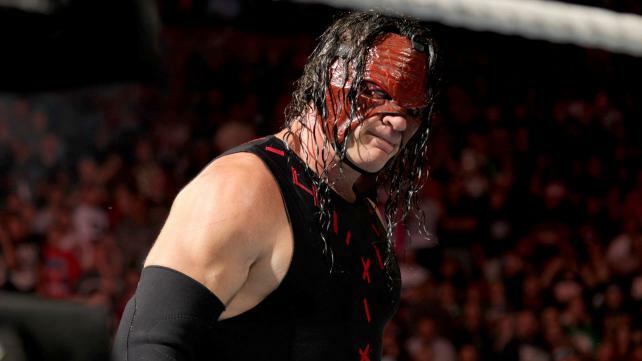 Kane represents the previous eras, he doesn’t add anything to the current unless he’s losing. And there’s only so many times we can see Kane lose. There’s only so many times we can see him destroy a guy like Finn Balor as well. Remember when he got a title shot against Lesnar? Crazy. Everyone knew he was going to lose. Glenn Jacobs is a great man, a true pro, and will always be an ambassador for WWE .. but surely his time is up? Of course, age isn’t important so long as he remains healthy. I’ll appreciate him as long as WWE needs to call on his experience. As an Englishman who loved everything about the King of the Cruiserweights, it really grinds me what WWE is doing to him. They’re doing a Rey Mysterio, which is keeping him under contract so he won’t walk and show up elsewhere. I’m tired of it, I want to see this man every week. I don’t care where, so long as he’s on TV and I can see it. Let him go WWE .. he clearly doesn’t want to be there. Or give him what he wants .. which is a singles push on Raw. Make him a big deal, he’s talented enough. It’s likely a frustrating situation for all involved. 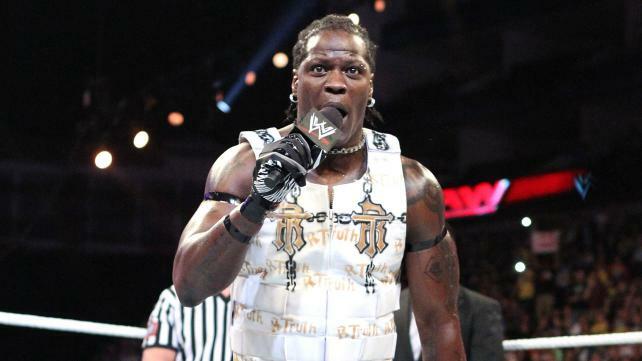 R-Truth has been a ghost since his move to Smackdown Live, and it’s probably for the best. He’s such a nice guy, super professional when he’s not forgetting where he is. He probably doesn’t need to go anywhere. What if he became Smackdown GM? Or a manager? Or a commentator? Truth could find a place anywhere as he’s so incredibly likeable. True that. I don’t get it. I don’t get why WWE’s kept her around despite doing hardly anything. So she’s been a bodyguard, had a title shot here and there, but they’ve never really tried anything with her. I would love to see Tamina ditch WWE and join the Impact Knockouts Division. She’d be a good fit, and at least we’d get to see what she can do when given a chance. The main thing I want is to see what she could do with a good push. Please stop embarrassing them. Anyone who saw their successful run in NXT will tell you they’ve been nothing short of terrible. They’ve not been allowed to look a threat, and they’ve never looked like challenging for titles. It’s a team which could do with working elsewhere to find themselves, as NXT clearly didn’t do enough. They’re really good, but it’s not possible to build a division around them for a few years. It’s a shame really. I’d like to see more from them if possible. Primo hasn’t been relevant since Carlito was in WWE .. which was a very long time ago. Formerly known as Los Matadores, The Colons are there to fill gaps at live events and on shows like Main Event. They’re there to give Puerto Ricans someone to cheer for. Neither are going to make it big, they should probably work elsewhere to make something of themselves before they wind down. Unless they always want to be getting paid WWE money? I don’t blame them really. Some are happy to be where they are. I have no idea if they’d be worth anything outside of Puerto Rico. I’ve said this for a while, but they need to stop giving him matches and focus on his managerial career. Bring someone in to team with Apollo Crews in tag matches (Chad Gable? ), with him & Dana watching from ringside, and it should be an improvement. As long as Titus is teaming with Apollo, they aren’t winning any titles. He’s the clumsy guy who makes mistakes, and it’s damaging for Apollo to team with him. 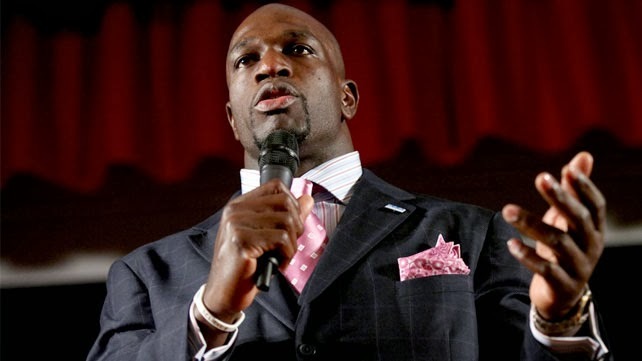 Titus is best on the mic, so he could talk for anyone, and Titus Worldwide needs to expand to a Heenan Family level. Take the 1 out of the 10 and what do you get? My rating for Tye since he moved up from NXT. Management seems to think the Perfect Ten isn’t worthy of airtime. We might see him backstage sometimes .. or he might have a match which he loses in a few minutes, but either way, he’s gone back to what he used to be before he got to NXT. Dillinger’s had a funny career. He was a jobber for years, and he was so good at being a jobber that NXT took him in. Impressed by his work, they gave him the Perfect Ten gimmick, and it took a while to sink in. But when it did? Boy, it really did. And while Dillinger rose through the ranks to become at least a high mid-carder in NXT, his return to the main roster has brought him full circle. He went from jobber, to potential star, to jobber again. And he’s more than a gimmick, he’s a great worker who deserves some wins, but management can’t get past the gimmick being so over .. the fans like using it when shows gets boring. They want to stop fans chanting “10” randomly, and the only way was to bury Tye so hard they forget about it. WWE’s burial of Dillinger has been the only thing worthy of a perfect ten. Please use him WWE. If you watched NXT a few years ago you might remember the former NXT Tag Team Champions Blake & Murphy, who were managed by current Raw Women’s Champion Alexa Bliss. I always said the team was made to get Alexa over, and she’s come so far since those days. As for Buddy Murphy? You can find him on 205 Live on a regular basis, after struggling for a while to get airtime on NXT. But what about poor Wesley? Well, we very rarely see him on NXT. And when we do he’s a jobber. Let him go to ROH, Impact, Japan, the indies, literally anywhere else would be good so long as he finds a place to work. He’s 30-years-old, and his prime is being wasted. I read somewhere he was working in a stable at NXT live events? If that’s true, it’s possible he might get a full-time gig soon. This might be an unpopular opinion but I’m sick of Zack Ryder’s continuous burial. You know earlier when I said people use the term “buried” wrong? Well, when you say Ryder’s buried, that’s the right way to use it. Do we ever see him? No. 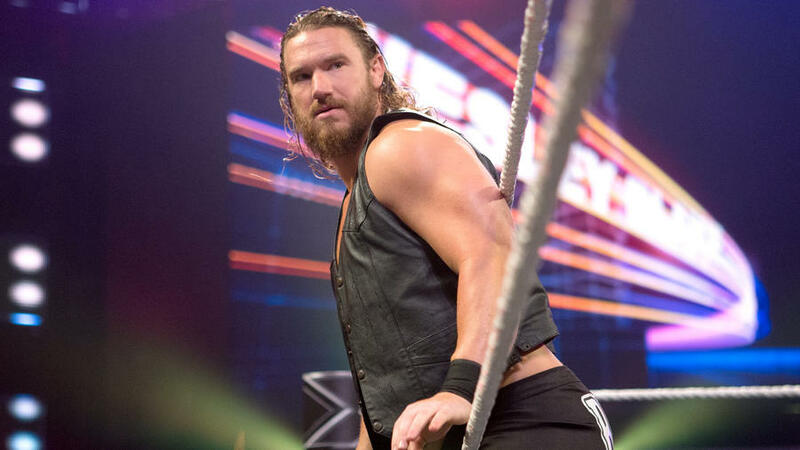 He was kicked to the curb by friend Mojo Rawley, and a heel turn was teased for too .. but man, aside from his IC title win at Wrestlemania a couple of years ago, he’s had nothing to work with. So at this point I’m tired of him being treated so poorly I wish he’d leave and do a Drew Mcintyre. He could work elsewhere, open up the YouTube show again with no limits, and prove to WWE they killed much of his career. He might not have what it takes .. but at least if he’s not in WWE he’s got a chance to prove to the world he does. So long as he takes the WWE payday, he’s always going to be a jobber with a few good memories when WWE decides it’s acceptable. If he can’t leave, I’ll keep praying he gets airtime for all his loyal fans. And a short conclusion to round this up .. do you think any of these talents should go? Is there any you think should stay? Is there any I missed who you think would be better suited leaving to make themselves known elsewhere? I don’t mean any disrespect by making this list, I do not wish anyone to be “fired”. If anything, I want what’s best for them and their fans, and I’d rather they not be fired for WWE’s benefit. Sometimes a talent can leave, reinvent themselves, and come back a year or two later refreshed. As for the older talent, I appreciate everything they do as long as they’re healthy and WWE feels they should keep working. Please let us know your thoughts, and as always .. thanks for reading!